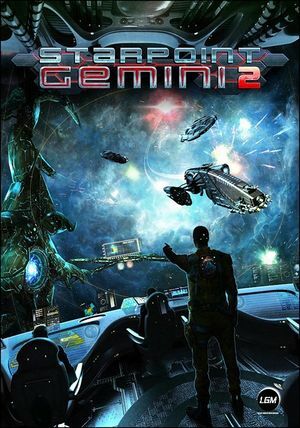 Included free copy of Starpoint Gemini during Early Access period. Free DLC on Steam. Included with the base game on GOG.com. 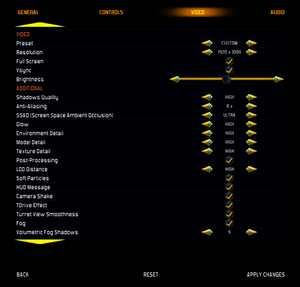 Open StarpointGemini2Configuration.cfg with a text editor. Delete all 3 lines with "intro: xxxxxx". Main menu has minor HUD issues. 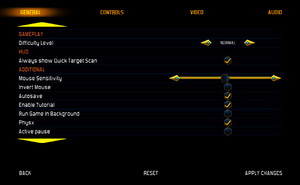 A zoom-in/zoom-out option is available during gameplay. 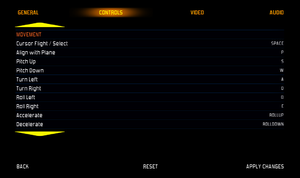 Vsync caps the frame rate at 59 FPS, with vsync disabled frame rate is capped ~112 FPS. Set BorderlessWindow: to 1. If BorderlessWindow: is not there, just add it. XInput and DirectInput. Designed for XInput, to point it might be impossible to even navigate menus with DirectInput. 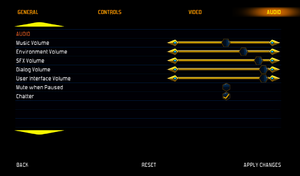 Music, environment, SFX, dialog and user interface. A speaker configuration option does exist in settings but currently unavailable. More localization options will be available after final release. A list of known bugs can be found here. ↑ 2.0 2.1 File/folder structure within this directory reflects the path(s) listed for Windows and/or Steam game data (use Wine regedit to access Windows registry paths). Games with Steam Cloud support may store data in ~/.steam/steam/userdata/<user-id>/236150/ in addition to or instead of this directory. The app ID (236150) may differ in some cases. Treat backslashes as forward slashes. See the glossary page for details. "Vsync caps the framerate at 59 in this game afaik." "No the game is not capped at 60. AFAIK the FPS maxes out at around 112 FPS (although there might be some way to go beyond that but I wouldn't know)."